This workshop includes two creative projects in one fun night! 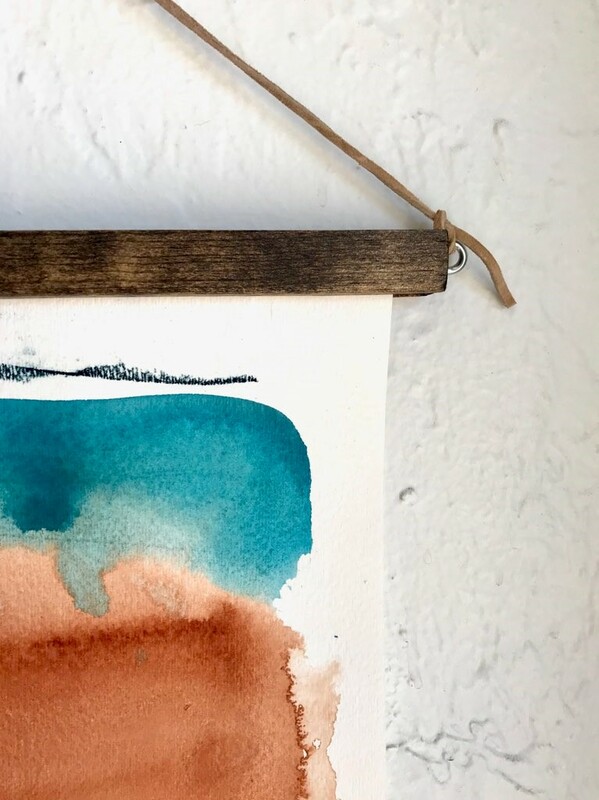 Local artist, Jennifer McHugh, will teach you how to make the trendy wooden dowel picture frame (shown here) AND paint two modern striped abstracts (one multi-colored and one ombré) to hang inside it! The frames will be pre-assembled, but she will give a tutorial and you choose the wood stain color and leather strap. For the artwork, you will be able to choose from several popular color palettes for both 11x14” pieces. 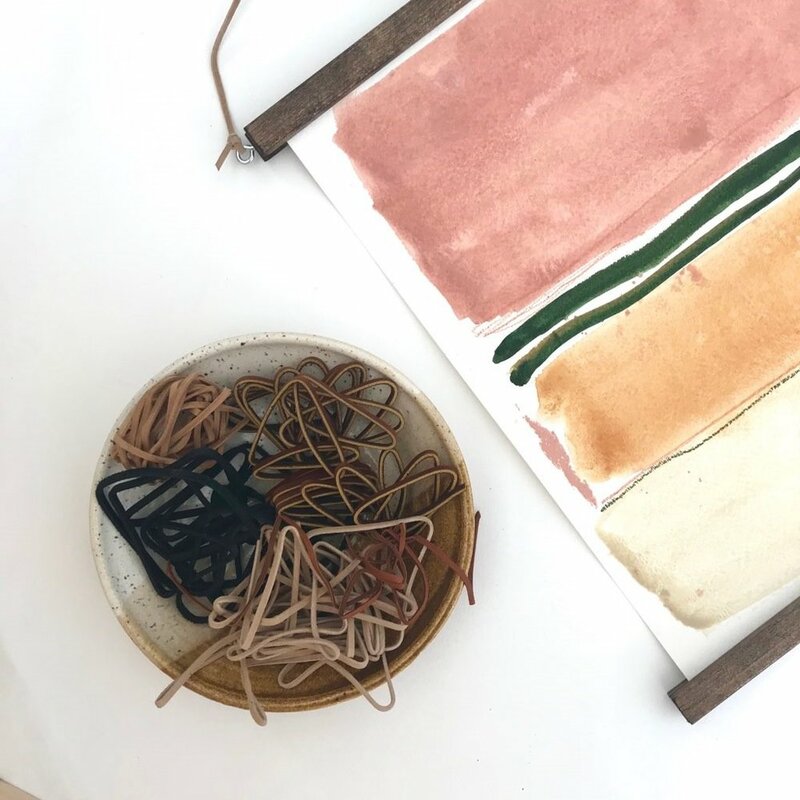 The great thing about this workshop is that you will not only learn how to make the frame, but she’ll give you a list of materials so you can make more at home! And if you don’t, then you can always switch out the artwork anytime you feel like a change. Please come join us for an evening of building, painting and socializing. All materials included, with some wine and snacks too! Spotlight on the artist | Follow her work on instagram @jennifermchughart or check out her website www.jennifermchughart.com!